With summer on its way, it’s time to start thinking about your family vacation. A road trip can be a great way to travel more affordably, visit new places, and have fun together as a family. However, there is an art to planning a successful road trip. Get it wrong, and you'll have to endure a painful journey of tension, tears, and tantrums. Or, get it right, and everyone will enjoy an unforgettable family experience. We've put together this essential packing list of things to take on a road trip to help you prepare for a harmonious family adventure. The aim of a great road trip is to keep everyone safe, entertained and happy as you travel to your destination. Whatever vehicle you plan to travel in, space is always limited. You need to pack the essentials and little extras to make the journey as comfortable as possible. In this guide, we'll share what to bring on a road trip. The things we know you'll actually use and be glad you had on your adventure. Picture the scene - you’re all tired and hungry, you are getting near to your destination after a long day of driving when suddenly you lose cell service, your phone stops working and you end up lost. That is why a road atlas is number one on our list. No GPS required. Apps such as Maps.me or Google Maps are also a great idea. They both allow you to download detailed maps that work offline and act as GPS. No more getting lost! Kids need to burn off energy, and being stuck in a car for long periods can drive them crazy. So pack a ball or a frisbee. They don’t take up much room in the car and are a great way for kids to let off steam when you make short stops along the journey. It will keep both you and them sane. A lifesaver for keeping all your gadgets alive. These days, we all rely on our phones and devices to keep us connected and informed. You can pick up a compact battery pack relatively cheaply, we think it is money well spent. The Anker PowerCore 13000 is great, it can charge two devices at the same time and features high speed charging to deliver a max speed charge to any device. Simply plug it in overnight at your hotel and it will be ready to charge your phone, tablet or your kids Nintendo Switch. If you are camping use this rugged Outxe Power Bank Solar Charger. It is perfect to the great outdoors as it is waterproof and is powered by the sun it also features two USB ports to charge 2 devices and provides plenty of charges during the long days on the road. Just throw it up on your dash while you are driving to let it recharge. A full car can soon get messy. Kids toys, water bottles, sweets etc can end up stuck under the seats, fallen down gaps and out of reach. With an car seat organizer on the back of the front seats, kids have all their bits and pieces at hand and the car stays tidy for longer. If your kids are comfortable, they’ll be able to last a lot longer in the car. Choose cars seats or boosters that are suitable for their age and size. The right seat ensures they are safe and have good head support. Music is one of the easiest ways to pass time on a long car journey. The UE Roll 2 is durable, waterproof and perfect for rest stops and when you are on the move. It has a rugged strap so hang the Roll on your day pack or simply lay it on a table. The sound is great and the shape makes it easy to pack. 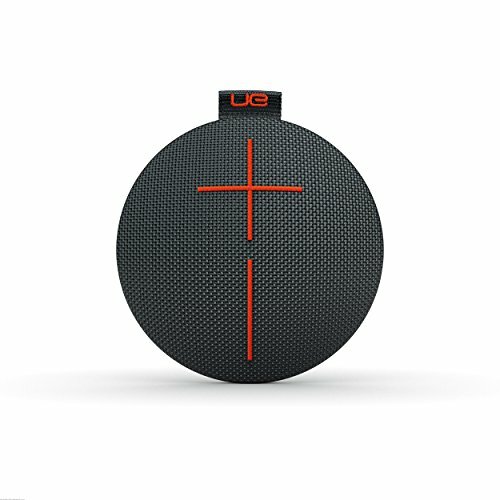 Build a playlist that has everyone's favorites on using Amazon Music Unlimited or Spotify then connect your smartphone, tablet or any device that has Bluetooth capabilities. Having a singalong will keep the kids entertained. If you want young children to have a sleep in the car, make a calming playlist especially for that purpose. Magnetic travel games are wonderful for stopping the kids from getting bored. They also mean you won’t lose all the pieces. There are plenty of compact kits to choose from, and most contain multiple games in one package. One of the best travel games that we have seen is Family Talk 2 it is inexpensive, small to take with you and very fun to play. 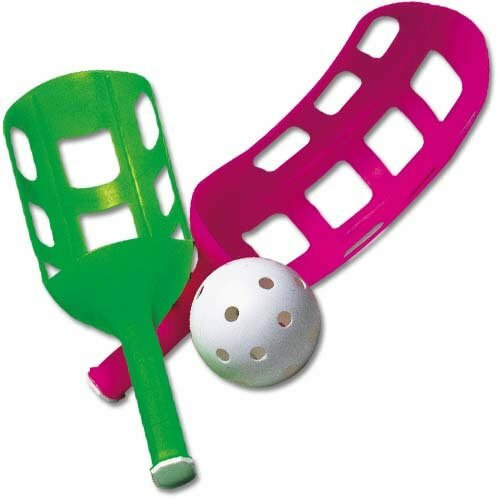 As a side benefit you will get to know your kids better, it has won numerous awards and can be played anywhere. Traveling with the sun shining directly in on one side can soon get very uncomfortable. Have a couple of window shades ready. They are inexpensive and will keep the car cooler and passengers happier. 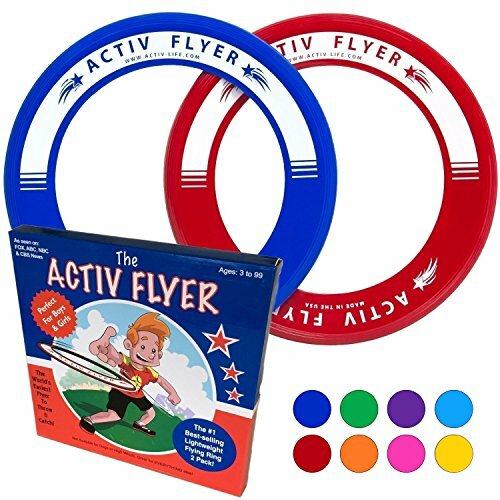 A simple way to occupy the kids is with a few activity books. Buy them each a pack of pencils or crayons so they won’t be squabbling over whose is whose. Not the most exciting thing to pack, but a first aid kit is definitely an essential. Ice packs, band aids, bite and sting cream, sunscreen and pain medicine are all crucial for families on the move. Having healthy snacks for your road trip is a must and this is a very important. Eating the wrong food can lead to driver fatigue and contribute to a lack of focus and attention issues. Not to mention that too much sugar combined with a long stretch of driving is not a recipe for a peaceful car party. Potato chips and sweets might be the most obvious snacks. But a few healthier options like fruit, nuts and carrot sticks are also worth packing. We have dedicated a whole section for healthy snack options farther down the post. Don't forget to ration out the snacks to prevent kids overindulging and getting sick. A great idea is to get a good cooler and make sandwiches, keep fruit cool, bring condiments, bread, and bottles of water. Restock by going to a grocery store rather than buying overpriced, tasteless sandwiches and junk food at a gas station. Grocery stores very often will have a deli section with hot meals like roasted chicken, deli salads, and more for far less than eating in a restaurant or fast food place. It might sound a bit crazy but, chewing gum has actually been proven to help reduce stress and improve concentration. It can even improve alertness and reaction time, and the minty flavor can freshen you up. All good things when it comes to a road trip, no? Don’t forget to take a garbage bag for disposing of it afterward. When you need some peace and quiet, it's time to bring out the tablets. Download some movies or kids programs in advance so they have plenty to choose from. You might even consider getting a wireless hotspot for your car for YouTube on the go. As a side bonus, it’ll be handy if you use your smartphone for Internet-messaging or navigation. To maximize the advantage of the tablets, make sure each child has their own headphones. Multiple videos playing out loud will give you a headache. Headphones restore peace on your family road trip. Many child headphones have volume restriction that will protect your child's hearing. A phone holder has become essential. Using a mobile phone while driving is against the law in almost all jurisdictions in North America. It is also super handy when you need to consult your map app or GPS and when accessing your playlist. There are a lot of different styles, dash mount, vent mount or even window mount. This model gives you all 3 options to give you the most flexibility. One of the most annoying questions you’ll hear over and over again on a road trip with kids is “Are we there yet?” Taking something to measure time so your kids know where you’re at and how long is left to get to your next destination could prevent them from getting on your last nerve and help the kids learn a little about time and distance too! This DIY time tracking craft has really saved our sanity. It’s easy to make and works well for kids who can’t tell time yet (let alone understand the concept of a multi-hour drive). First, we string a ribbon across the back seat (using either the handles on the roof or wardrobe hooks). We make marks along the ribbon to signify places along the way. Then we’ll tape post-it notes to the roof with things to watch for, for each mark (what's to see, distance to get there, and about how long it will take to get to that point.) Then we print off a car (or draw one), cut it out and punch holes in it and string the ribbon through the car picture. We’ll move the car across the ribbon when we reach the things we’re watching for. This way kids focus on how far you've come instead of how much time is left. Let kids take turns moving the car. Mak loves doing this, especially when he was really little. It gives him something to look forward to at each point. And, on the return trip, you can move the car in reverse, or put it back at the beginning and reorganize the post-it notes and start over. First Aid Kit- DIY your own using this article as a reference. Learn how a tackle box is the best thing to keep first aid supplies organized and quick and easy to find in an emergency. Paper Maps or Map App- Word to the wise, don't get caught off the grid without one of these. Battery Pack / Power Bank- Tech comes in very handy when it comes to safety on the road. Make sure you have what you need to keep all your tech charged and ready. 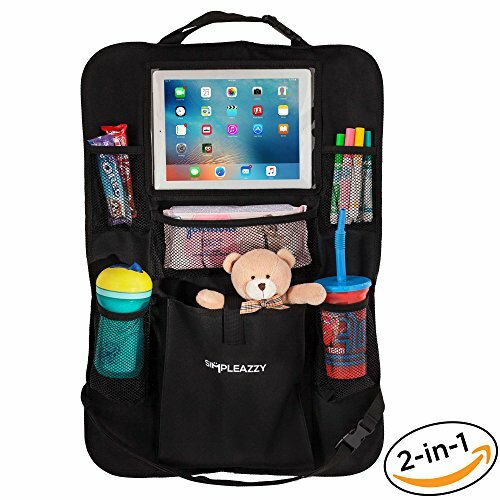 Comfortable Child Car Seat- If the car seat you have right now is uncomfortable for your kid, it's in their, and your best interest to upgrade before your road trip. Smart Phone Holder- Keep your eyes on the road and everyone safe. What food to bring? Healthy road trip snack ideas. Food and drinks you should eat sparingly or avoid altogether on your road trip are ones that are greasy, and/or high in salt, sugar, or caffeine. These types of food and drinks are most often difficult to digest, leading to uncomfortable bloating and increased urge to pee. Then there's the irritability as energy levels skyrocket then crash. None of these things are good. Yes you can make healthy road trip snacks for your family to enjoy, but between making sure your car is road trip worthy and making sure everyone has packed what they need, you can run out of time. We have our favorites that I whip up before we head out on any adventure. But, when I don’t have time to make a lot of snacks I supplement with healthy store bought snacks. Things we consider when buying store bought healthy snacks are low sodium, low sugar, low preservative options. Here’s a list of healthy, tasty, easy to eat on the go snacks that fit our aforementioned considerations. You can find in most of them in grocery stores or get them all on Amazon. High protein, low sodium, beef jerky is a great road trip snack! Our favorite store bought ones are Oberto All Natural Teriyaki Beef Jerky, and Lorissa's Kitchen Premium Pork Cuts Sweet Chili jerky. Other flavors that rank high on our list are Uncle Andy’s Tex’s Tangy BBQ Beef Jerky, Primal Spicy Beef Jerky, and Epic Currant & Sesame BBQ Chicken jerky. Sold everywhere, Clif Bars are one of our top go to road trip snacks. Our favorite kind is Nut Butter Filled Chocolate Peanut Butter. Other brands we feel good about eating that are equally good tasting and good for us are KIND Bars, Dark Chocolate Nuts & Sea Salt, Gluten Free, Low Sugar, 1.4oz, 12 Count, STRONG & KIND Honey Smoked BBQ bars, Kashi GOLEAN Plant-Powered Bar Honey Pecan Baklava, and just for grown ups RXBar Coffee Chocolate bar. We like Kirkland Signature Trail Mix , or we make our own buying from the bulk bins; raisins or dried cranberries, peanuts, almonds, M&Ms or chocolate chips. We seperate either into single servings using Zip Lock bags. Other more exotic tasty brands we enjoy are Navitas Naturals Organic 3 Berry-Cacao Nib-Cashew Trail Mix,and Emerald Tropical Blend Trail Mix. For just plain nuts we love Blue Diamond Low Sodium Almonds and Wonderful No Shells Pistachios. We love Skinny Pop Popcorn! It comes in a variety of tasty favors and has no artificial ingredients. Skinny Pop is non GMO, gluten free, nut free, preservative free, and a great source of fibre too! Our favorite flavors are Skinny Pop Original, Naturally Sweet, and Aged White Cheddar. You can buy Skinny Pop single serve popcorn bags at Costco or on Amazon. Or grab a big bag from the grocery store and make your own single servings with Zip Lock bags. Cheese strings, rounds, or sticks; whatever flavor, brand, or shape you choose the well-portioned snacks are loaded with calcium, protein, and they’re tasty too. Our favorites are Babybel Original Cheese Wheels and Sargento String Cheese. Dried fruit is convenient, delicious, nutritious, and not messy; a perfect road trip snack! One of our favorite brands is freeze dried Crispy Green Crispy Fruit. Freeze dried fruit is just as healthy as the real fruit, has no added sugar and It’s crunchy instead of chewy like some dried fruit. Crispy Fruit comes in lots of single-serve variety packs like apples, mangoes, pears, even cantaloupe! Other brands we love are Naturally Bare Baked Crunchy Cinnamon Apple Chips (super tasty and crispy), and KIND Fruit Bites (a full serving of delicious fruit in each single serving pouch). Store bought healthy road trip snacks can cost more money. But sometimes the time you’ll save not having to make snacks and package them up yourself is well worth the extra cost. Not to mention the peace of mind you’ll have knowing the things your eating are good, and good for you. When buying healthy road trip snacks make sure you pick up a well balanced assortment; some with protein, healthy fat, whole grain, and natural sugars from fruits. Doing so will keep you family happy, fueled, and feeling fabulous. Fruit - like apples, easy to peel oranges, bananas, and grapes. Veggies - like carrot sticks (or baby carrots), pepper slices, and celery sticks. Water & 100% juice boxes or pouches - Refill water bottles at pitstops and rest breaks. We love magnetic travel games. They're compact and being magnetic makes it perfect for keeping track of all of the play pieces. Here are a few more of our favorites, classics that take some imagination and don't cost anything. I Spy- "I spy with my little eye something that is....." This one keeps young kids entertained for long periods of time! Would you rather?- Would you rather questions are a great way to get a fun conversation started, just ask “why” after a would you rather question. You’ll get some really interesting answers and probably learn a lot more about the person you are talking to. Going on a picnic- This 2 person + memory game is easy to learn and fun to play. 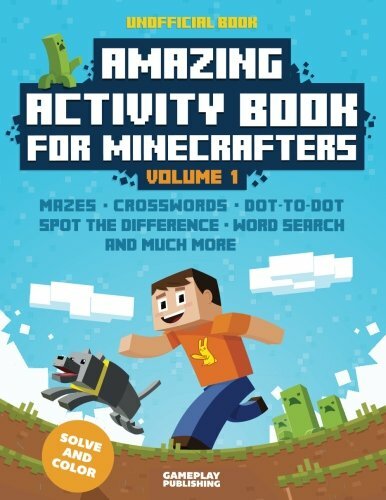 Great for kids 5 years old and up it's based on the alphabet. Play begins with the first player saying “I’m going on a picnic and I’m bringing...” then, answering with something that begins with "a", like apricots. The next player repeats “I’m going on a picnic and I’m bringing...whatever the first player said, and then something that begins with "b", like baguettes. Play continues with "c", "d" and so on, all the way to "z". If someone forgets an item, they're out. Feel free to give hints to younger players to keep the game going. The last player to be able to recite all the items mentioned in the game wins. Road trip bingo- This game is a mix of bingo and a scavenger hunt. Each child will need a flat surface to play on (like a clipboard) to have on their lap. Each player gets a printable bingo card and a zip-lock bag with 16 pennies. When a player sees an item listed on their bingo card, they cover the picture with a penny. Like in a regular bingo game, the first player to cover all the items in a straight line wins. Classic 20 questions- This simple game is perfect for kids of all ages, thanks to its easy to follow rules. The first player thinks of a person, place or thing then everyone else takes turns asking questions that can be answered with only yes or no. After each answer of "yes", the player that asked the questioned gets one guess. Play continues until a player guesses the person, place or thing correctly. Spot the Car- This scavenger hunt is a fun for older kids and adults. Players look for different car models. This printable game sheet is great to use for a "Spot the Car" scavenger hunt. 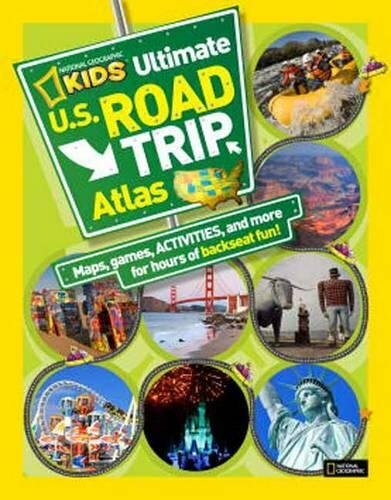 These are just a few of our top suggestions for a family road trip packing list. A little bit of preparation in advance can go a long way to making it the best family vacation yet. With this in mind, tailor your own packing list to your family to keep everyone comfortable, safe and entertained. Only pack things you know will be used but at the same time, don’t forget that the journey is part of your trip, so do everything you can to enjoy it. See an interesting landmark or attraction by the roadside? Stop and take time to smell the roses! Take regular breaks to combat tiredness and boredom. If something goes wrong, don’t sweat it, you’ll get to where you need to be. Either way, we hope this family road trip packing list will contribute to an amazing vacation for everyone! If only I had read your post 2 months ago! I went on a road trip on west coast USA and realised I wasn’t prepared with half of what I needed! Great list! I have the same waterproof speaker and it’s an absolute must everywhere I go now, I love it! I don’t have a family just yet but my husband and I go on road trips a lot and I definitely agree with the things you posted here! Love the detailed packing list! I’ll definitely show this to my sister coz she’s planning on going on a road trip soon. It’s been a long time since I went on a road trip with my family, but all these things would have been so useful! My Dad always had a map book in the car, I can’t believe how many people rely on Sat Nav these days. Those seat organisers are a great idea too! Packing right is always a toss-up between what to take and what not to. Because even though a road trip does give you the luxury of dumping things in your car, there is a limit to what you can take. This is a good list and I like the fact that the focus is on ‘what would be actually of use”. Most of the times we end up returning with stuff that we have not used at all. Quite often we pack a lot more things than we use. I agree with your list. Especially Chewing Gums. 🙂 🙂 I never travel without them. Be it by road or otherwise. Waterproof speaker is definitely a great idea. Maybe I would add an eBook. Very useful article that we’ll bookmark for my brothers in law! We are getting ready to teach our nephew how to travel and the terrified parents will definitely feel better if they know they can avoid the tantrums! Great idea about bringing a power bank for the Nintendo! Clever the time tracking device thingy! I also loved the toy organiser you suggest and well, I didn’t know chewing gum was helpful to those stressed, shame it is illegal in Singapore! The time tracking craft has worked like a charm for us! I had no idea chewing gum was illegal in Singapore. Such a great list! This bluetooth speaker looks very good and the fact that it is waterproof makes it ideal for the beach as well! I like the fact that you have included healthy snacks instead of chocolates and potato chips which many people eat while in the car (me included!). I love paper maps, so great tip to have those even if just for back up if your internet / GPS fails. Likewise, we always have a powerbank available as sometimes you run out of juice when you most need it! 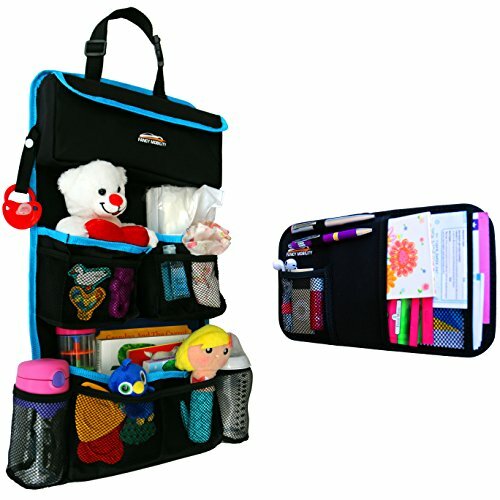 Toys, travel games, books, and carseat organisers to keep the kids’ stuff tidy seem like great ideas to keep them happy and occupied. And yeah, we always like to have car snacks available for longer road trip holidays! Likewise, always have first aid kit and mini pharmacy! We’ve taken so many road trips and have found these are the things we always use or were glad to have while we’re on the road. 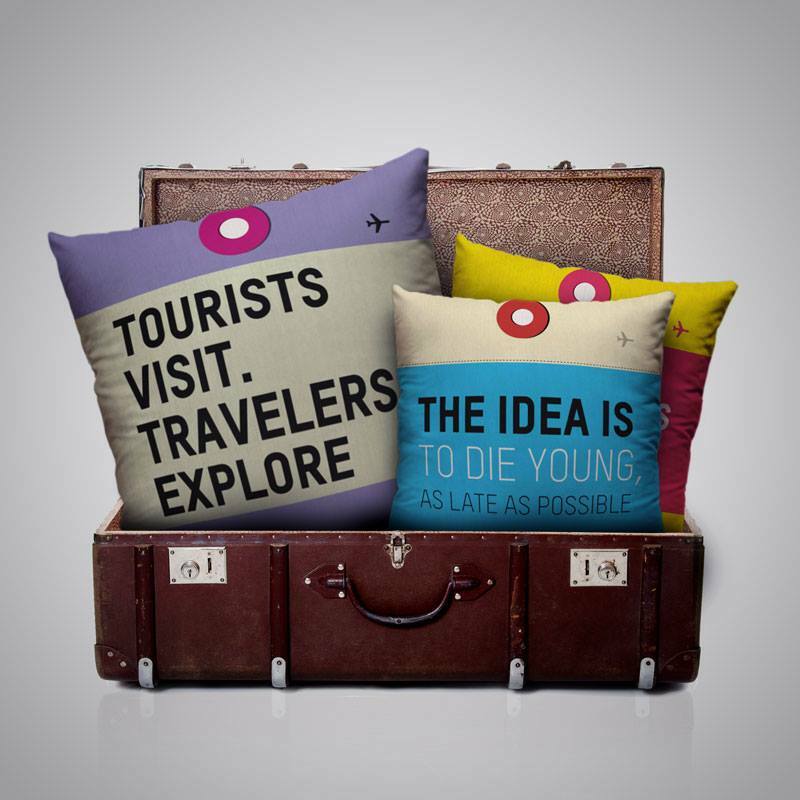 I hope we gave you a few new ideas to make your next road trip a little more comfortable Kavita!